If you’re looking for a stylish midsize sedan to elevate your Avon, Indianapolis, and Plainfield area commutes, you’ll want to take a closer look at the 2018 Toyota Camry and Ford Fusion. Both cars have a smart, modern look and feel that give them a definitive edge over the competition. Andy Mohr Toyota has compiled the following information about these fine automobiles in order to help you decide which one is more suited for your individual needs and preferences. Whether you’re dropping the kids off at practice, carpooling to work, or making your way through town for date night, you always want to make sure the car getting you there is safe and dependable. While both cars have impressive safety features, the Camry manages to do slightly better in this department. The Fusion only has eight airbags. Two more safety features that are standard in the 2018 Toyota Camry and absent in the Ford Fusion are the energy-absorbing collapsible steering wheel and the engine immobilizer. The collapsible steering wheel reduces the likelihood of injury from the steering column during a collision. The engine immobilizer prevents anyone from starting your Camry without the Smart Key fob. When it comes to convenience, both cars are fairly evenly matched with only a few distinct differences between them. For example, the Camry gives you and your passengers plenty of room to move around and get comfortable, with 55.4 inches of hiproom in the front seats and 54.7 inches of hiproom for the rear seats. These numbers are slightly less for the interior of the Fusion. Its front seat hiproom is 55 inches and it has 54.4 inches of hiproom for the backseat passengers. While both vehicles have standard USB charging ports, the Camry has wireless phone charging as an available feature. 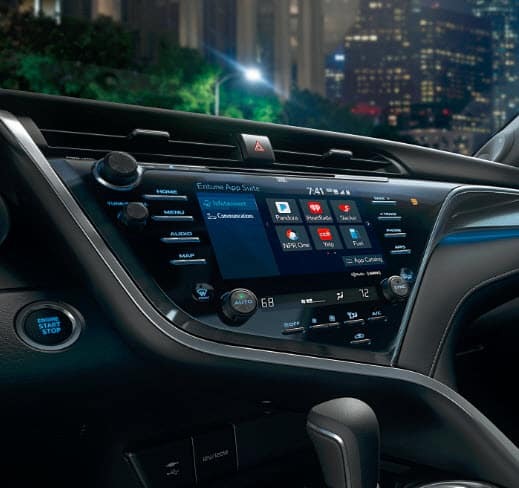 The interior comfort of the Toyota Camry even spills over into the sound system. Its standard six speakers let you cruise to your favorite driving music with outstanding clarity, while the Fusion only has four speakers. Let’s examine the performances of these midsize sedans to get an even better understanding of how they compare to each other. The standard engine in the Camry delivers 203 horsepower and 184 lb-ft of torque, while the standard Fusion engine gives you 173 horsepower and 174 lb-ft of torque. With an 8-speed transmission, the Camry also gives you a little more room to play than the Fusion with its 6-speed transmission. 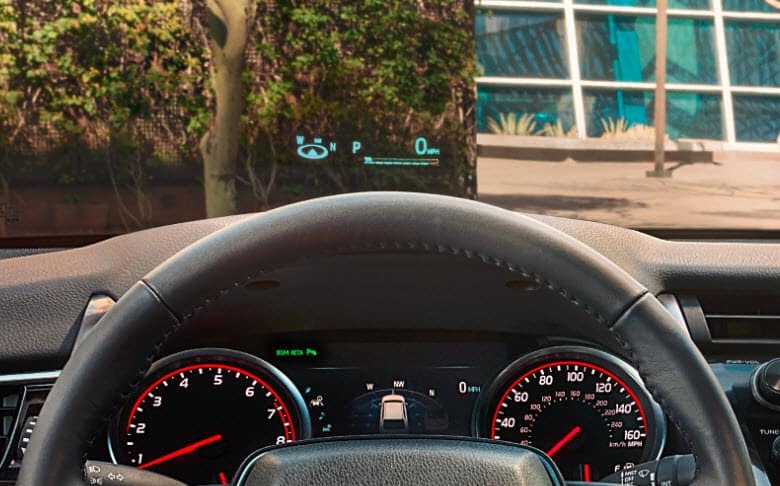 The Camry lets you keep track of its performance with an available 7-inch color multi-information display that gives you directions, safety information, and relevant alerts. Which Sedan Is the One for You? The above 2018 Toyota Camry vs. Ford Fusion comparison shows that while they are very much alike, the Camry surpasses the Fusion in the categories of safety, interior convenience, and performance. If you’re in Avon, Indianapolis, or Plainfield and you’re ready to take the 2018 Toyota Camry out for a spin, head over to Andy Mohr Toyota for your test drive.